This blog is now entering ‘sleep’ mode… — that’s the heading for René Salm’s final post at least for a while. René explains his decision to retire from posting and publishing his research into Christian origins. Fortunately his blog with its many resources will remain online for some time yet. I think René’s strongest contribution to the public was his overview and analysis of the archaeological reports on Nazareth that have been produced over the years. The responses to his work from some academics and even lay critics was anything but scholarly rebuttal. They were viciously hostile, full of insult, ridicule and blatant misrepresentation. That’s not how one expects sound and valid research and scholarly publications to be defended. One must suspect that his reviews and analysis hit a raw nerve in the academy. René has undertaken research into areas that few others have undertaken and one of his last series of posts was a translation and commentary on Hermann Detering’s thesis involving the relationship of Buddhism with Christianity view the Therapeutae in Egypt. NazarethGate by René Salm furnishes readers with far more than the published archaeological evidence for the existence of Nazareth at the supposed time of Jesus. In taking up the task of mastering the research literature on the archaeology of Nazareth Salm has found that archaeologists well-known for their proclamations of finds that are relevant to our understanding of Jesus have a track record of questionable methods and reliability. Hence the pun on the Watergate scandal in the title as well as the subtitle: quack archeology, holy hoaxes, and the invented town of Jesus. Salm has done the work to earn the right to make these judgements. In my previous post I touched on Salm’s exposure of the “less than optimal” work of Ken Dark. 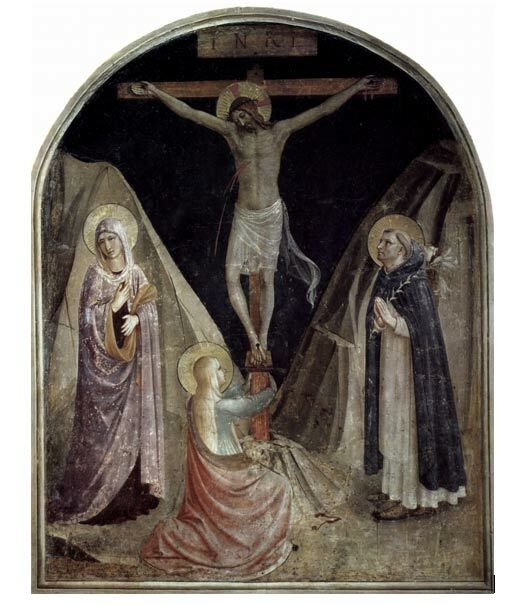 (Compare also A Critique of Ken Dark’s Work at the Sisters of Nazareth Convent.) There is much more. But here I am pausing to set out for easy reference a very general summary of the archaeological evidence for Nazareth. That is, what follows is taken from the scholarly published literature as distinct from unverifiable popular press reports. The former are testable; the latter — even if quoting opinions of certain archaeologists — are not. Salm is able to point to the apparent influence his earlier book, The Myth of Nazareth, has had on the chagrined re-writing of some of the claims made about the archaeological evidence. 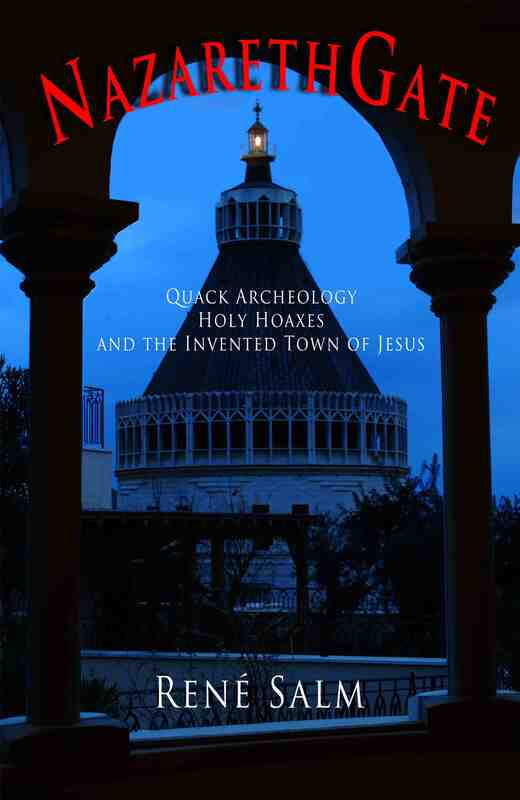 Hopefully this new work will help raise a more public awareness of the tendentiousness (even incompetence) of the claims of some of the archaeologists who press claims for evidence that Nazareth was the home of Jesus. and absolutely devastating in his analysis of archaeologist Ken Dark’s published efforts to prove the presence of early first century domestic dwellings there. I would love to see serious engagement with the detailed arguments in Salm’s book. I would love to see how specific questions and data are addressed. Maybe Salm’s conclusions can be overturned after all, or at least modified. We won’t know until we see further reports, discussions and responses. Unfortunately it appears so far that scholars (and others) who ardently oppose the very idea that Nazareth did not exist at the time of Jesus, and who loathe the mere mention of Salm’s books, are not very different from that handful of scholars (Maurice Casey, Bart Ehrman, James McGrath) who have attempted to publicly refute the writings of Jesus mythicists. Their reviews of Salm’s first book (The Myth of Nazareth) leave the knowledgeable reader with the strong suspicion that they read no more than a few snippets of the book and those with ideological hostility. The main arguments are ignored. Though I acknowledged that the field of archaeology is complex enough for most people to defer to the specialists, some lay critics of Salm tend to rely upon authorities indiscriminately for the purpose of hectoring and belittling a lay scholar who has genuinely mastered the published literature in this particular niche topic. I would love to see people like Tim O’Neill engage seriously with both Salm’s arguments and his critiques of Dark’s published work. From the start I left no stone unturned, did not hurry, skip any steps, nor overlook even minor reports. Lacking a relevant Ph.D. I knew that thoroughness would be my only credential — one that would have to be earned. I began with the most accessible secondary material: encyclopedia articles and entries in secondary reference works. Scouring the footnotes and references, I slowly accumulated the obvious primary sources. Among these, the largest was B. Bagatti’s long tome Excavations in Nazareth (vol 1, 1969). . . This book was the first (and often only) resource used by scholars who ventured to write about Nazareth’s archeology. . .
[Salm then describes his heavy use of the University of Oregon library and special help of a librarian who was able to procure for him “obscure books and hard-to-find articles”.] He validated my status as a resident scholar so that the University of Oregon’s critical interlibrary loan facilities would be made available to me as if I were a member of the faculty. Accumulating the necessary research material also required trips to major libraries in Seattle and San Francisco. . . Collecting the requisite material was of course only the first step. 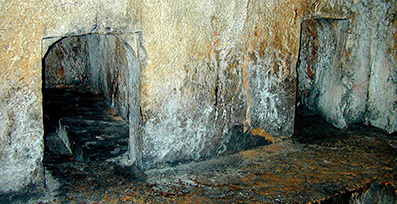 Each account, description, or excavation report had to be examined in a particularly careful way. It was not good enough simply to read the report, or even to collate all of its itemized artifacts in columns by type, date, and so on — things I learned to do quite early on. Incidentally, such collation could be quite revealing. For example, on one page Bagatti dates a certain pottery shard to the Roman period and on another page to the Iron Age. Such errors are quickly detected through careful and complete bookkeeping. All this was tedious, but the problem which required the most time, by far, was that each and every claim had to be tested. For example, in one place Bagatti claims that a fragment of pottery is “Hellenistic” — but the parallels he gives, when checked, date to the Iron Age. In another place, his alleged “Hellenistic” parallels actually date to Roman times. Richmond, too, in 1931 claimed that six oil lamps found in a Nazareth tomb were “Hellenistic.” Subsequent redating by specialists . . . shows, however, that all the lamps in question are Roman. There was also the problem of mislabeling. I learned that one scholar (J. Strange) termed the kokh type of tomb “Herodian” . . . . However, the important work of H.-P. Kuhnen shows that kokh tombs were not hewn in the Galilee before c. 50 CE. (They continued in use to c. 500 CE.) Thus, the term “Herodian” for these tombs is clearly erroneous and very misleading. . . . In the above and other ways it soon became clear to me that serious flaws characterize the primary reports, not to mention the secondary reference articles based on them. . . .
Salm’s second book, NazarethGate, is quite different from his first. The new work includes chapters that are (sometimes) edited versions of articles written and published since the first book. Some of these chapters are largely polemical (anti-Christian or anti-religion) in tone and written for militant atheist publications. The significance of the absence of Nazareth for the Jesus mythicist debate reverberates through a number of these chapters. If Nazareth did not exist, then clearly “Jesus of Nazareth” could not have existed either. I must point out that there is more nuance in the discussion than that: Salm is well aware of the arguments that some other “Jesus” figure lies behind the gospels and he is also very cognizant of the debates over the original derivation of “Nazareth” as an epithet or its cognates as the name of a sect, including the possibility of pre-Christian origins. Frank Zindler writes the Foreword. He lists nineteen reasons to think that Nazareth did not exist in the early half of the first century, many of them having been extant prior to archaeological digs. This section nicely segues into Salm’s opening chapter (the Introduction) in which he adds further such reasons and addresses some of the complexities involved in understanding the meaning of “of Nazareth” and “the Nazarenes” etc in the Gospels. A Catholic priest decided to build a Christian retreat in Galilee and was required by Israeli law to check for remains of archaeological interest first. By pure chance (but we know God was the one behind it, of course) Father Juan Solana then unearthed the first synagogue in that region to be discovered from the first century period. We are not told how it was dated to the first century or whether it was closer to the second century end or the BCE end, or how we know it was a synagogue, but no doubt such details will quickly follow. Some sceptical scholars till now had argued that the absence of synagogue buildings in the Galilee from the time of Jesus was easily explained by simply understanding that when the gospels tell us of Jesus preaching in synagogues they meant he was preaching in group gatherings in homes and other private dwellings. This discovery finally puts well-deserved dirt on the faces of those sceptics. And there’s a bowl they discovered, too, 2000 years old so of course we must seriously accept the very real possibility that Jesus himself washed his hands in it. Accordingly it is now a holy relic. The volunteers on the dig all pray before they start work so we can be confident they have divine guidance in all that they find and interpret. René Salm has posted online his review of the work of British archaeologist Ken Dark on Nazareth. You can read A Critique of Dr. Ken Dark’s writings relative to the Sisters of Nazareth convent site at Academia.edu. Dark is well known for his work on Roman Britain but Salm finds his work on Nazareth failing to take into account specialist knowledge and methods for this region. Dark promised some years ago a new book comprehensively addressing Nazareth archaeology but since that book has still not appeared Salm has studied and responded to relevant articles Dark has published so far. What Tim O’Neill has done in his attacks on René Salm earlier this year over his claims that there was no village of Nazareth at the time of Jesus is defend the very worst practices found among the most culpable of researchers. He is defending the right of academics to make pronouncements of breakthroughs and new discoveries and then say, “Nope, you can’t examine all the details of the data for yourself. I’m a professional! How dare you question my judgements!” And just to be sure you get the point, the same researcher calls upon an “independent” peer to back him up in his assertions of breakthroughs and new discoveries: but nope, we can’t give you all the detail of the data that you’d like. And let no-one mention that both the researcher AND his “independent” peer are committed to stamping out your doubt — that these new discoveries are true. That’s never spoken out loud. Are you some anti-religious bigot to think this might matter? First, the background. 2007 saw the publication of “Surveys and Excavations at the Nazareth Village Farm (1997–2002): Final Report” (the Nazareth Village Farm report) in the Bulletin of the Anglo-Israel Archaeological Society (BAIAS). The following year, the same peer-reviewed journal published René Salm’s criticism of that report (“Response”), along with a defence of it by two of the report’s authors (“A Reply to Salm”), another defence by the director of a related project, Ken Dark (“Nazareth Village Farm: A Reply to Salm”), and finally a 23 page “Amendment” by Y. Rapuano correcting some of the deficiencies Salm had pointed out in the original report. The same 2008 issue of BAIAS also contained a scathing review by Dark on Salm’s book, The Myth of Nazareth. Salm responded to that review on his website (http://www.nazarethmyth.info/bibl.html). René Salm’s book, The Myth of Nazareth: The Invented Town of Jesus, surveys earlier reports that have been produced on the archaeology of Nazareth. Salm itemizes the history of archaeological finds at Nazareth and compares these with claims that go beyond that evidence by researchers who have a demonstrable religious bias. For nearly two decades, the University of the Holy Land (UHL) and its subsidiary, the Center for the Study of Early Christianity (CSEC), has laboured to lay the academic foundation for the construction of a ﬁrst-century Galilean village or town based upon archaeology and early Jewish and Christian sources. It was hoped that such a ‘model village’ would provide a ‘time capsule’ into which the contemporary visitor might step to encounter more eﬀectively the rural setting of Galilean Judaism and the birth-place of early Christianity. At Nazareth Village this educational vision is currently being realized (for a popular publication on the Nazareth Village Farm project, see Kauﬀmann 2005). It is not an insignificant detail that all those involved in the archaeological dig at the Nazareth farm, the authors of the report, and the institutions they represent, are dedicated to discovering (and restoring a replica of) the Nazareth of the Gospels as a religious enterprise. The archaeologist at the centre of Salm’s criticisms is Jehudah Rapuano. One can glean an insight into his religious interest in the Nazareth site from online scribblings from years back, from his choice to do his Masters degree at the University of the Holy Land, his association with Zion Public Radio (“Israel Talks, We Listen”), and his belief that there is even literary evidence that Nazareth was a settled village in the time of Jesus (presumably the Gospels are his authority) (see his and Pfann’s reply to Salm in the BAIAS). And this is the trained archaeologist the Israel Antiquities Authority licenses to undertake a dig at Nazareth — a dig which the report itself said had a religious and tourist motivation. And this is the author whom Tim O’Neill says we are lunatics not to trust when he pronounces his views on the evidence for Nazareth. This post goes through O’Neill’s key criticisms and concludes with a demonstration that he has put himself squarely in the anti-intellectual, we-must-always-defer-to-the-authoritative-pronouncements-of-scholars-and-never-be-so-impertinent-as-to-question-them corner of the fight. I put this together in a thread on the James Randi forum where some Mythers tried the “Nazareth never existed” tack. After this post, they totally abandoned that line of argument. Tim O’Neill does have that affect on some people attempting to engage in a serious intellectual discussion. Anyone interested in discussing the facts and reasons in a civil manner and avoiding ad hominem soon learns to ignore his blustering online persona. His language and tone are further evidence of his anti-intellectualism and bullying demands to have others submit to his own arguments (or he’ll call you bad names). O’Neill has the ability and patience to dig out many sources but few of his readers would have the like patience or opportunity to actually test his claims by checking those sources for themselves. Some of those readers may find this post “very helpful”. Updated with mostly typo corrections, 6:30 am, 8th Dec. 2012. Perhaps many readers of Bart Ehrman are impressed enough with his public reputation to be confident that when they read his book on mythicism, Did Jesus Exist? (DJE? ), they are reading yet another fine, erudite, devastating critique by a scholar who knows what he is talking about. A few who have also read René Salm’s book, The Myth of Nazareth (MoN), on the other hand, will shake their heads in disbelief that such a distinguished scholar is exposed as intellectually stark naked when he writes about that book. Ehrman, once again, demonstrates for any who are prepared to look that he clearly has not read the book he is reviewing. He even makes a complete fool of himself with simplistic retorts that only demonstrate his utter ignorance of what he describes as “the highly technical field of archaeology”. Ehrman exposes himself as a very shallow thinker when faced with serious challenges to a paradigm he had always, by his own admission, taken for granted. But Salm’s argument is at no point so black and white and, contrary to Ehrman’s innuendo, does not simplistically assume that Jesus did not exist if Nazareth did not exist. Bart Ehrman has stridently insisted he really did read the mythicist works he reviewed in Did Jesus Exit? (DJE?) so we must take him at his word. And being a scholar we know he is a gentleman and therefore honest, so we must conclude, I think, that he was very tired or unwell and badly losing concentration when he read René Salm’s and Frank Zindler’s writings casting doubt on the existence of Nazareth. I can see little in common between Ehrman’s “representations” of their arguments and their actual works themselves. This post will point to some of the most incomprehensible discrepancies — incomprehensible, that is, IF Ehrman really did read Salm and Zindler with any elementary comprehension and attention. Ehrman addresses the argument over the existence of Nazareth in pages 191 to 197 of his book. Curiously, Ehrman says the argument that Nazareth did not exist is “one of the more common claims found in the writings of mythicists” (p. 191). It is not found in any of the writings of Earl Doherty nor, from what I have read, in any of the writings of Robert M. Price (though I understand he has made some mention of it on an audio session) or Thomas L. Thompson or Richard Carrier. I think G. A. Wells makes passing mention of it. Ehrman does not help us here because he footnotes not a single source for his claim. As anyone who has read earlier analyses of Ehrman’s work on this blog would expect by now, Ehrman offers readers no citations, no evidence in support of his accusations. He simply makes them up. I like that weasel-phrase “appears to be” — it is a favourite of James McGrath, too. It means one can always plead that one never made any accusations but only that your stupid words “appeared” to be stupid. Of course, as anyone who has read earlier analyses of Ehrman’s work on this blog would by now expect, Ehrman gives readers no citations, no evidence in support of his accusations. He simply makes them up. I had not even known that Zindler had written anything about Nazareth until I read Ehrman’s response to it. (Zindler’s main “mythicist” publication certainly does not discuss it.) So I looked it up. There is a copy online, Where Jesus Never Walked. Now Zindler’s article is rich with humour. At times he can be downright funny. Is this the trait that Ehrman interprets as diabolical “vehemence and force”? In any event, I thought it might be worthwhile to reprint here what I say about Salm’s book in my book Did Jesus Exist? Apologies for those who have read this already. I have removed the footnotes here, but you can find them in the original. . . This was followed by Ehrman’s “part 2” on me and the SBL. I don’t feel comfortable paying money to his blog and voicing my opinion there, and may simply react on my own MP blog. Of course, my lack of pertinent credentials is a pretext. The tradition would surely be just as opposed to me if I actually had a PhD. My goodness, I think it would be even more upset! Another curiosity: Ehrman is himself a member of the SBL “Metacriticism of Biblical Studies” unit. [Rene Salm has since corrected this — see Comment #5 below] He’s known about my upcoming talk for a long time, as Avalos hashed out the SBL roster of presentations via emails to the whole list (about two dozen members) over the last twelve months. It’s curious to me that Ehrman did not say something when it could have made a difference, but waited until after the fact to voice his displeasure and to raise the issue of some SBL impropriety. From René Salm, author of The Myth of Nazareth and the Nazareth Myth website . . . . .
Last week I received via snail mail (from a contact in Israel) a just-published book entitled “Nazareth: Archaeology, History and Cultural Heritage” (Nazareth Municipality, 2012). On glossy paper, with color photos, bound with thread, it’s a pretty slick production. . . In it is an article by Stephen Pfann (University of the Holy Land, the “brains” behind the Nazareth Village resort), and also an article by the now infamous Yardenna Alexandre. . . In the excavations at Mary’s Well undertaken in 1997, Late Hellenistic pottery shards and ten coins of the Hasmonean King Alexander Jannaeus (103-73 BCE) were found in the earth fills below the fountain house. WTF!? But, in truth, I half-expected this. It’s not entirely a surprising, for this coin allegation has been rumored for some time (see my latest Scandal Sheet, http://www.nazarethmyth.info/scandaleight.html). This, however, is a leap to another level–we’re no longer dealing with a rumor but a statement by the archaeologist who excavated at Mary’s Well. Well worth reading are Salm’s responses to the ignorance and misrepresentation peddled by McGrath and O’Neill about Salm’s work The Myth of Nazareth. First he addresses the criticism that he is supposedly arguing there was a hiatus of settlement of a few decades at the time Jesus was supposed to have been there. Salm in fact presents a comprehensive history of the archaeological finds (as published by archaeologists) in the Nazareth region from the Stone, Chalcolithic, Early-Middle-Late Bronze and Iron ages and through to Byzantine times, cites the unequivocal archaeological evidence when settlememt ceased in the Nazareth region, and demonstrates the way this evidence came to be subtly re-written by Catholic apologists to give misleading impressions of continual settlement. Further comments here, here and here.